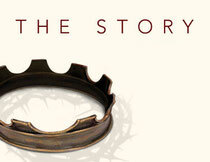 The Story... it's the Bible Story, it's God's Story, it's your story. Join us and make the connection between your heart, your mind and the story that brings us joy, salvation and the fulfillment of God's promises. March 3 - "From Death to Life"
March 10 -"From Slavery to Freedom"
March 17 - "From Victims to Victors"
Watch as God protects his trusting followers from a hot oven and a den of lions. Prepare for victory because God hasn’t changed--He’s still mighty to save! March 24 - "From Religion to Relationships"
March 31 - "From Darkness to Light"